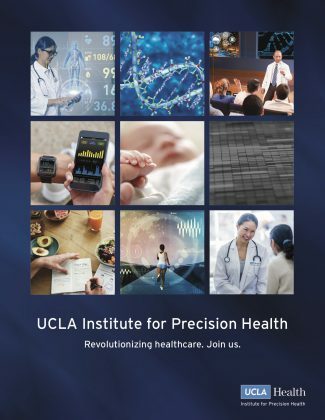 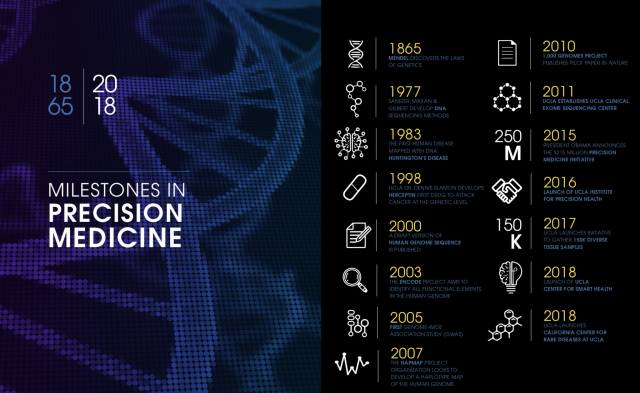 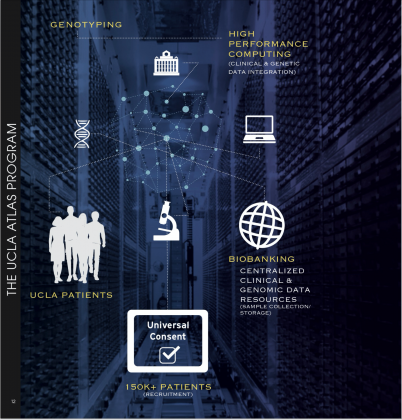 UCLA’s Institute for Precision Health looked to Quaintise to provide life sciences marketing in support of the school’s mission to revolutionize the healthcare industry with their future genetic and genomic medicine initiatives. 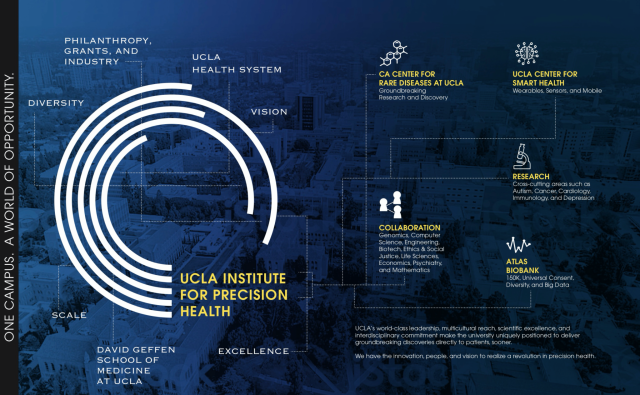 Having been newly founded, we worked with UCLA to first formalize a solid brand strategy, collaborating with leadership to better define the brand’s vision and goals, which were then used to guide our content marketing strategy. 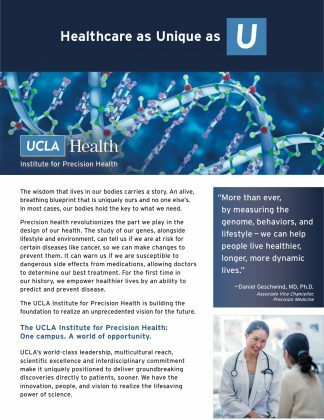 To turn UCLA’s vision of IPH into reality, it was necessary to create life sciences marketing materials for the school’s prospective donors. 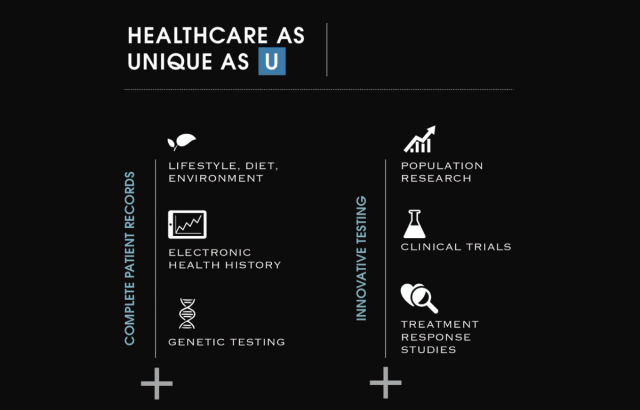 These marketing materials helped support the brand’s mission, — finding financial aid to help set up the necessary processes and infrastructure to bring genetic and genomic medicine into the clinical realm. 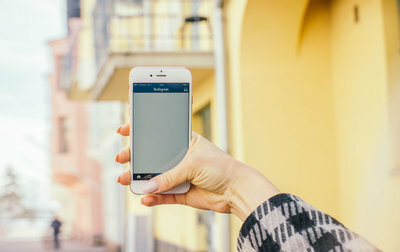 Quaintise worked to develop a digital and print donor brochure for the school, along with supporting materials including a flyer that was shared amongst university event attendees, and several infographics the brand could use on digital and print platforms.